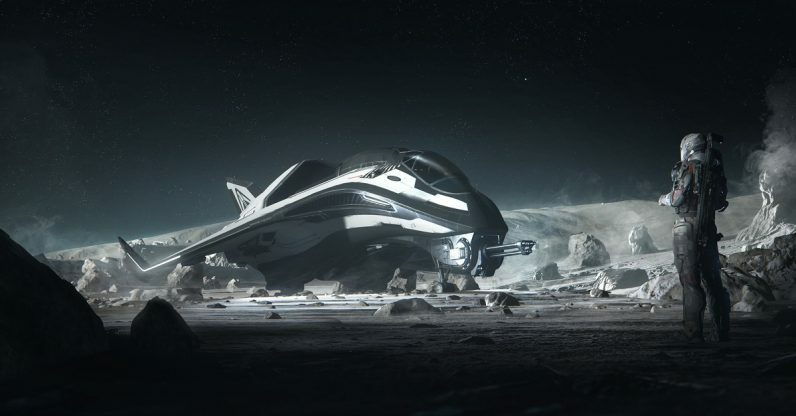 The creators of the forever-in-the-future game Star Citizen are adding a content pack that’s worth more than a new mid-priced sedan. And at this point, no one should be surprised — particularly since the developers say the fans have been asking for just such an add-on for a while. If you’ve managed to go this long without hearing the saga of Star Citizen, then here it is in a nutshell: it’s an embryonic massively multiplayer online space sim with ambitions of grandeur which has raised over $186 million in six years of crowdfunding. The game still doesn’t seem to be close to release — it’s become pretty much a perpetual development machine, and I’m sure some of the backers are in a constant state of checking whatever the gamer equivalent of a biological clock is (come on, guys, I’m not getting any younger over here). But at least updates are fairly regular and the developers still seem to be at least as interested as the fans are. According to the latest update from creators Cloud Imperium Games, backers who have already contributed at least $1,000 to the game’s development may purchase the Legatus Pack — anyone else who’s interested has to get special permission just to view its page on the website. This Pack gives the purchaser access to 100 spaceships, along with a comically long list of extras. When questioned by Polygon, reps from Cloud Imperium Games said the pricey pack was created as the result of fan demand. Specifically, they said a number of passionate backers asked for the pack, or at least something similar. If this were any other game, I’d scoff at the idea that someone specifically requested a $27,000 add-on. But the backers of Star Citizen and their Marianas Trench pockets have surprised me before, so I think I actually believe Cloud Imperium on this. I’d be curious to find out how many, if any backers actually buy this. But it makes sense, in a way — especially since it’s restricted to a relatively small portion of the game’s audience. Who doesn’t want to feel as though their being rewarded for their devotion? And I suspect this won’t be the final expensive add-on we see for Star Citizen, nor the most pricey. Until the game is actually, finally released sometime around the heat death of the universe, I think we’re probably going to see even more goodies restricted to increasingly small segments of the backers pool. When we inevitably see the $100k “StarDust Pack” or whatever, offered exclusively to those who’ve sold their family diamonds to Cloud Imperium, I reserve the right to say that I called it.